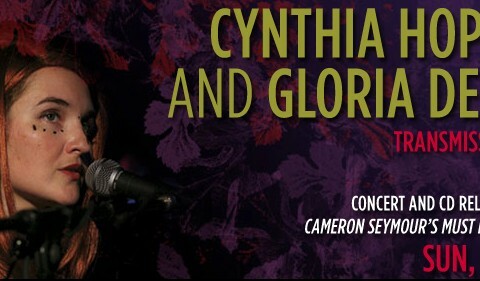 St. Ann’s Warehouse welcomes back Cynthia Hopkins and her band Gloria Deluxe for a concert she calls Transmissions from the Future. This celebratory evening —a collaboration with technical wizards Jim Findlay and Jeff Sugg—­will feature music from Must Don’t Whip ‘Um, a sneak peak at The Success of Failure (or, The Failure of Success), Part III of The Accidental Trilogy and a number of songs from the Gloria Deluxe album-in-progress, LOVE is gonna be my weapon and YOU are gonna be my first victim. An after party follows in the St. Ann’s Warehouse Lobby with cake and wine for all to enjoy!